Drivers play an important role in connectivity and flashing firmware on your smartphone. We are providing all the officially released drivers for your BLU Vivo XL4 in this post. These drivers include CDC and VCOM drivers for flashing firmware and ADB drivers for normal connecting. 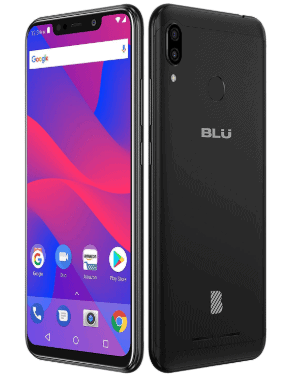 BLU Vivo XL4 is the recent release of Vivo in 2018, December with beautiful notch and awesome display aspects. The phone offers a lot of new features in such a small price tag. Regarding the display, the phone consider 6.2 inches screen supporting resolution of 720×1520 pixel and runs on Android 8.1 (Oreo) powered by octa-core 2.0 GHz cortex-A53 processor. The internal memory of the phone include 32 GB with 3 GB RAM and also support micro-SD card upto 128 GB. When it comes to camera, the phone has got awesome camera including dual 13MP + 2MP primary camera with LED flash and 13MP secondary camera with LED flash for selfies. The connectivity medium include WLAN, Bluetooth, GPS, Radio and USB. The phone is powered by Li-Po 4000 mAh battery and comes in two colors which is black and gold.